Are you hosting a wedding, quince, baby shower or another special event? 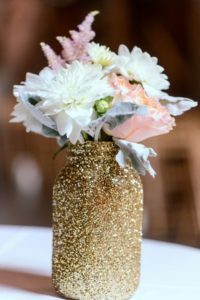 Events can be costly, which is why DIY centerpieces and other decorations are the next best option instead of purchasing your decorations! Save money with these simple yet sweet centerpieces. Homemade decor is in style, so we’ve chosen our favorite DIY centerpieces below – which you can easily make with common household items! 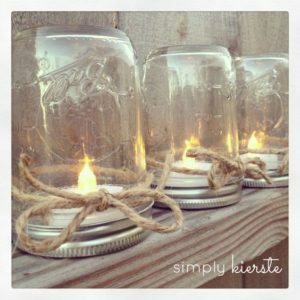 Mason jars are the number 1 household item that is often used for DIY projects. 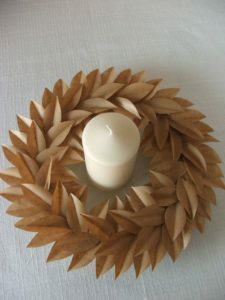 They are extremely versatile, and if you don’t have any extras lying around, they cost around $1 at most craft stores. 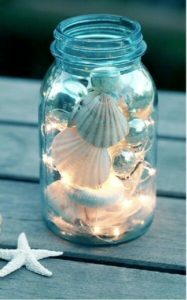 First, you can fill up your empty mason jar with something eye-catching: colored sand, pebbles, seashells, buttons, or a variety of small items that you might have laying around the house. Another fun idea to spice up your jars is to use spray paint (and sparkles, if you wish) to color them to match the rest of the decorations! 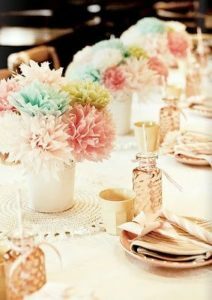 Then, you can fill the jars with flowers (real or fake), or with tea light candles for a more romantic centerpiece! 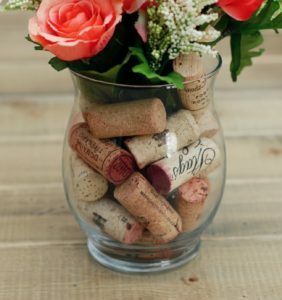 Another easily collected item that can be great for DIY centerpieces is the wine cork. You can use these as a filler for vases (or your mason jars) or get even craftier! 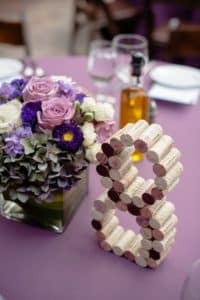 Some people enjoy building their table numbers with corks, using a hot glue gun to keep the wine corks together. 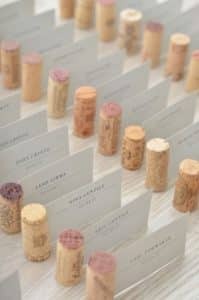 Another creative DIY use for wine corks is using them to hold your guest’s place cards! In order to make this craft work, all you have to do is cut a slit in the side of the cork and slide in the place card for your guest! 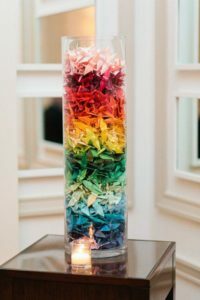 Last but not least, the staple of DIY centerpieces and crafts: paper! Paper is a common household item that it is cheap and often very fun to play with! Also, it is easy to start over and re-create your paper craft if you mess up the first few times. If you’re a beginner, it is suggested to start off with making simple flowers like this DIY centerpiece, which only requires a spiral cut and some glue! However, if you’re a more advanced crafter, then you can start making wreath creations, or even origami cranes to use as beautiful event decorations! For more event inspiration, check out Grand Salon on Pinterest! We pin all of the best special event ideas, creative planning, theme inspiration, food and drink ideas, fashion, accessories, Grand Salon’s past events, venues and much more.